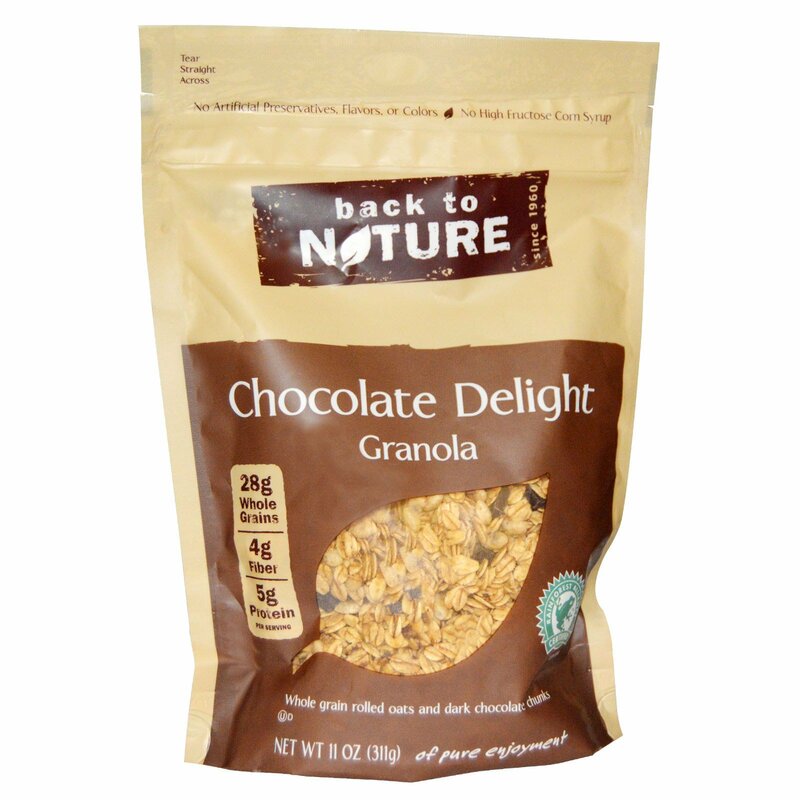 Whole grain rolled oats with a ample handful of rich dark chocolate chunks deliciously sweetened with natural ingredients. Whole grain rolled oats, semi-sweet chocolate chunks (chocolate*, sugar, dextrose, cocoa butter, soy lecithin, vanilla extract), naturally milled cane sugar, brown rice syrup, brown rice flour, expeller pressed safflower oil, molasses, vitamin E (a natural vitamin to help preserve flavor), natural flavor. 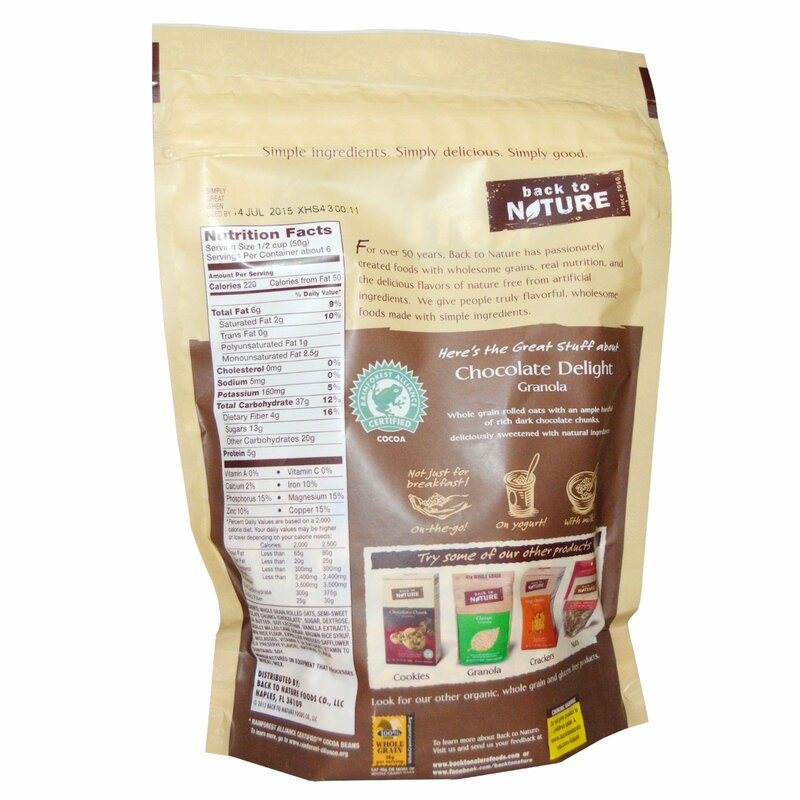 Manufactured on equipment that processed wheat, milk.